Samsung’s curved TVs inspired a new all-in-one PC with a curved display, and Hewlett-Packard and Dell announced new 34-inch curved displays at the International CES in Las Vegas. The curved displays provide a snug and immersive viewing experience, the companies argued. At first glance, the monitors resembled flat LCD panels, and the slight curvature became noticeable only after closer inspection. Though the curve wasn’t drastic, having the screen closer to the eyes provided a more intimate viewing experience. It’s possible that curved monitors stick around longer than curved TVs, said Bob O’Donnell, principal analyst at Technalysis Research. “In some ways, they are more interesting on a monitor than a TV,” O’Donnell said. “A large TV is meant to be a multi-person viewing device. So in some ways it works against you,” O’Donnell said. 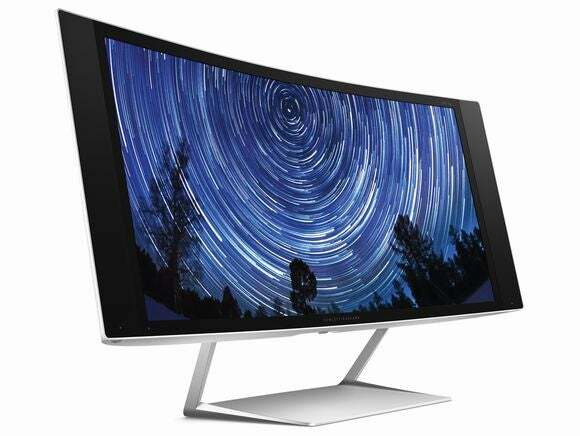 Samsung's 27-inch Ativ One 7 Curved all-in-one PC. 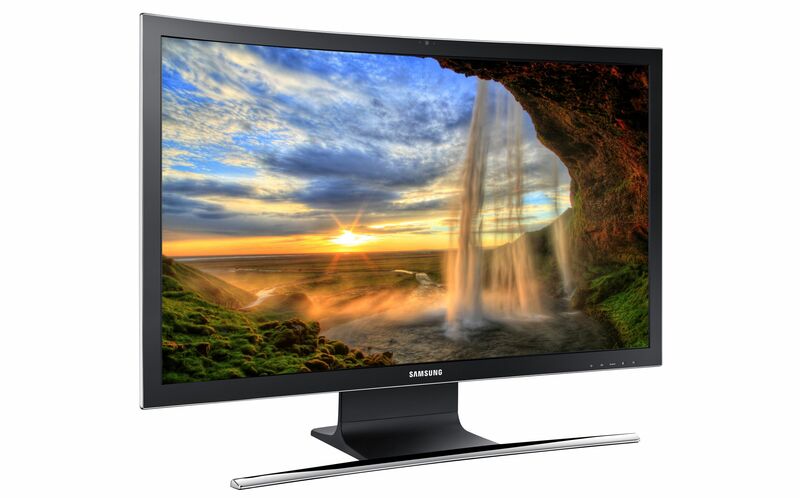 Samsung’s 27-inch Ativ One 7 Curved all-in-one PC is the company’s first desktop and is priced starting at US$1,299. The company has already made curved TVs, so it made sense to bring the technology to PCs, Ng said. The company is targeting the all-in-one at “urban professionals” looking to add style to their homes, Ng said. Some professionals also want the Z34c monitor because it looks cool, HP’s Lai said. “A lot of high-profile customers ... feel that their technology choices are part of their image and they want to be able to have this on their desk,” Lai said. Dell’s targeting its $1,199 UltraSharp 34 U3415W at gamers, who are always looking for the latest and greatest technologies. There’s no fixed formula as to what curvature works best, and a lot depends on the viewer and environment, said Bryan DeZayas, director of product marketing for Alienware PCs at Dell. “Could I see other possibilities? Sure. We’re always experimenting,” DeZayas said.